Dr Nihir Shah qualified in dentistry from Kings College London in 1992 having also obtained an additional Basic Science Degree. He subsequently trained at some of the leading oral surgery units in the UK and was awarded the Fellowship in Dental Surgery from the Royal College of Surgeons of England in 1996, an honour bestowed to very few dentists. Nihir then worked in the Oral & Maxillofacial Unit at Northwick Park Hospital until 2005 and was actively involved in teaching and research. At the same time he was developing his private practice and joined other specialist colleagues at the Moor Park Specialist Dental Centre. He acquired the Stag Lane Dental Centre in 2008 and has fully refurbished it to exacting standards. Nihir is an experienced general dentist as well as being a specialist in oral surgery. He is actively involved in dental implants and trains other dentists to learn about dental implants. 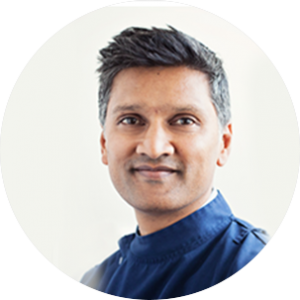 He is a member of the UK national Association of Dental Implantology (ADI) and the International Team for Implantology (ITI) and regularly attends conferences as well as lecturing to groups of local dentists. Avoid damage to sensitive structure such as nerves in the process of implant surgery. 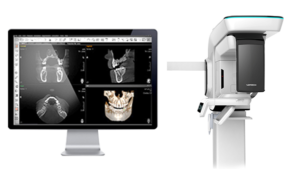 Check impacted teeth positions accurately. Reduce surgery time as a result of more accurate diagnoses. Get patient's consent and confidence that you have selected the right treatment plan.